This development is 100% sold out so if you missed out, now is your chance! This prime corner apartment at New Deshon boasts bright open spaces, indoor-outdoor living and breathtaking triple-aspect views. The terrace acts as a natural extension of the living and dining space, and also allows access to the master bedroom. Floor to ceiling windows provide natural light as well as stunning northern views towards the Gabba, the Brisbane River and the bright lights of the CBD. 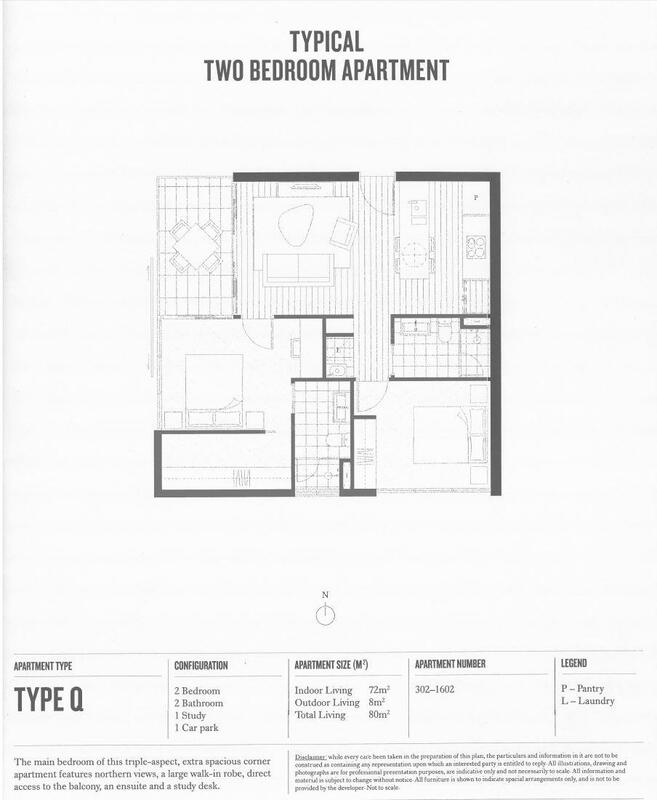 The master bedroom features a large walk-in robe, ensuite, study desk and direct access to the balcony. The spacious apartment also features a large kitchen, separate integrated laundry, with second bedroom separated from the master bedroom. While residents will love the luxurious apartments and exclusive landscaped rooftop terrace within the 2nd stage of South City Square, New Deshon has also been designed to enrich the community of Woolloongabba with its ground floor retail, cafés and restaurants which will link with the popular al fresco dining scene along Logan Road and the retail areas. The masterplan provides provisions for plenty of retail including an anchor supermarket, 8-screen boutique cinema, medical centre, health and wellness precinct, childcare centre, central markets, cafes, restaurants as well as landscaped surrounds including 5,000sqm public accessible square. Woolloongabba is moments away from the popular galleries, museums, restaurants and cultural attractions of West End and South Bank. Whether walking, riding or taking public transport, everything locals love about Brisbane is just minutes away from South City Square. Trains, buses, bike paths and the nearby Pacific Motorway provide abundant transport options into the city or out to the Gold Coast. Contact me today to make your best investment! Expected completion last quarter 2017.